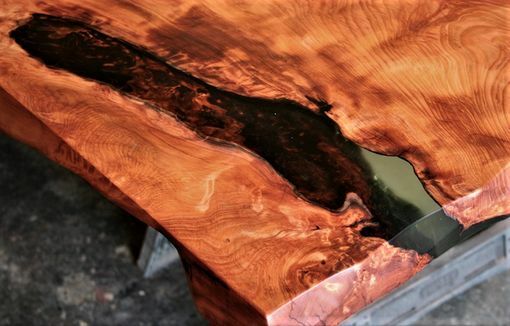 The top of this dining table is a single piece of remarkably figured old-growth redwood. It is part of an inventory of virgin pieces of trees originally cut over one hundred years ago. These were ancient trees and likely several thousand years old. 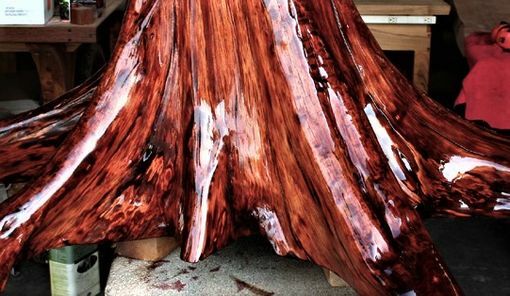 The base is a stump of Northern Michigan white cedar which is stained to match.